In September, and after four years of talks, members of the FARC rebel group unanimously agree to a peace deal with the government of Colombia. FARC’s chief negotiator announces “the war is over” following five decades of bitter conflict. The deal would only be implemented if approved in a referendum on October 2. But voters, who had been expected to support the deal, reject it by a narrow margin throwing the country into uncertainty. Opponents of the pact still want a peace deal but many say the one on offer was too soft on the rebels by allowing them to re-enter society, form a political party and escape traditional jail sentences. “No” camp leader ex-president Alvaro Uribe insists the rebels will have to go to jail and won’t get into politics. 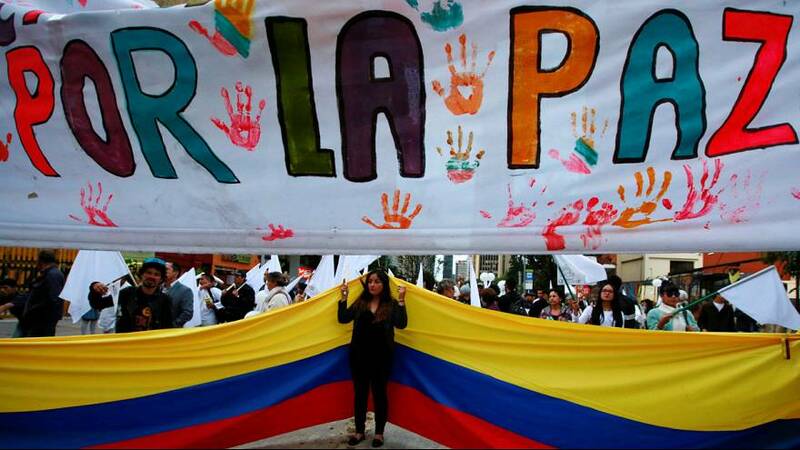 After this, President Juan Manuel Santos, who received the Nobel Peace Prize for his efforts, announces there is to be a new round of talks with FARC as all sides scramble to salvage the peace deal rejected by voters. By the end of the month, Colombia’s government and the Marxist rebels are back at the negotiating table in the Cuban capital Havana. The aim, to incorporate changes into the peace deal narrowly rejected by the electorate. Six weeks after the referendum, both sides agree new terms to end the conflict. The fresh agreement incorporated proposals from the opposition and other groups. It will be signed on Thursday (November 24) and sent to Congress for approval. Some 220,000 Colombians have died as a result of the conflict and nearly 7 million driven from their homes. Deaths by land mines exceed 11,000 people in the country since 1990.